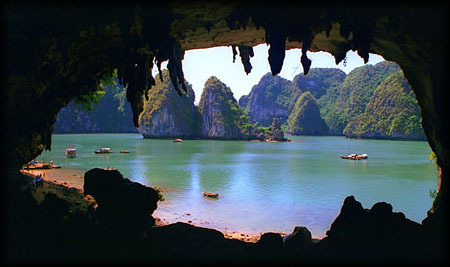 Crusing, swimming, snorkeling and kayaking in the crystal waters of Ha Long Bay in the newly buit Ha Long Indochina Sail. 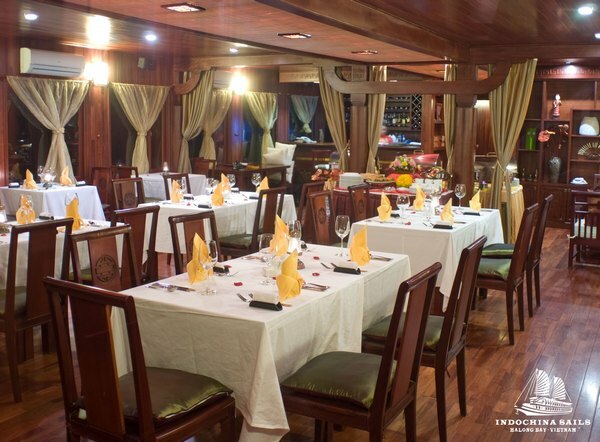 Watch the view and listen to the wishper of the sea while enjoy superior serviceof food and friendly staff. 7:00 Enjoy Tai Chi instruction on the sundeck (duration about 30 minutes). 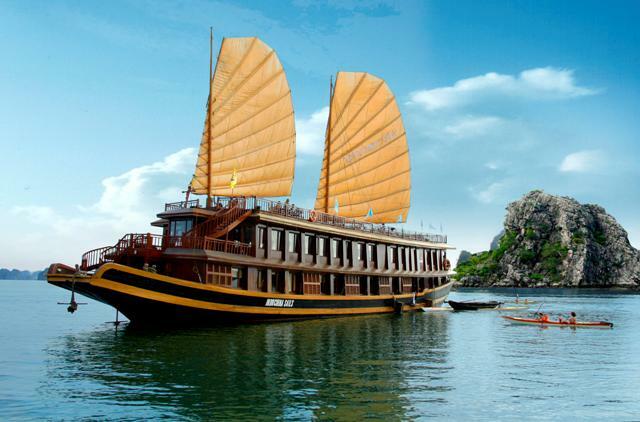 7:45 Enjoy Breakfast served in the dining room..
8:30 Transfer by tender to the “Day Boat” and begin to cruise to some of Halong Bay’s more secluded and untouched locales. 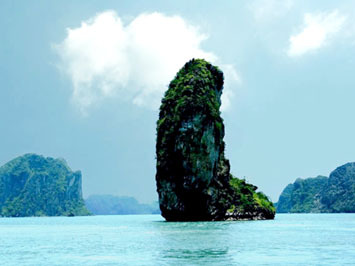 Exact locations depend on tide conditions. 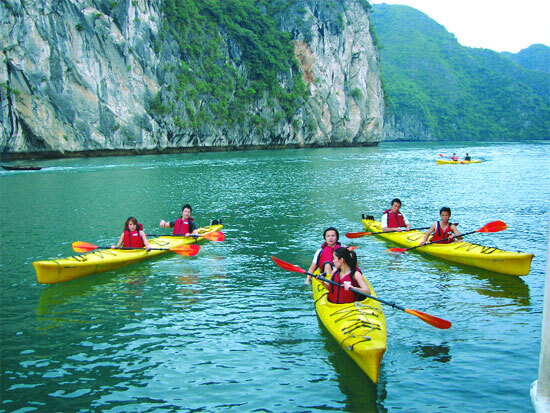 Enjoy a leisurely day of kayaking and swimming. A multi-course lunch will be served mid-day. 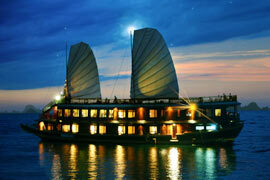 16:00 Return by tender to the Indochina Sails boat. 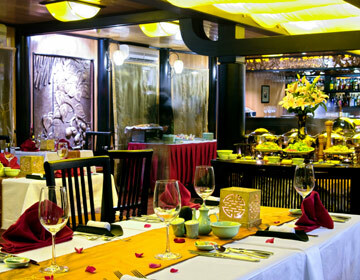 19:00 Dinner - deluxe Vietnamese and Western Buffet or Set Menu Dinner. 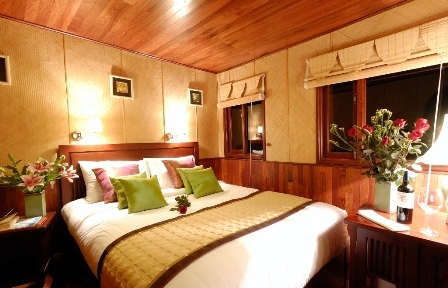 20:30 Evening activities include: film entertainment in the dining room at approximately 9:15, board games and playing cards are available, massage services are available. 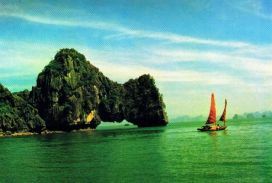 Also at this time we offer, when possible - depending on weather conditions, an excursion to a nearby squid fishing boat. 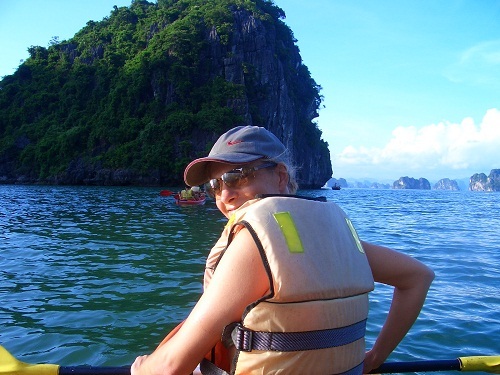 We travel by tender and you will be able to board the squid boat and see how the local fishermen catch squid and other fish, the excursion lasts about 45 minutes. 21:00 – 23:00 Happy Hour! Buy one drink - get one free (wine excluded). 6:30 Enjoy Tai Chi on the sundeck. 7:30 Coffee, tea and breakfast pastries served in the dining room. 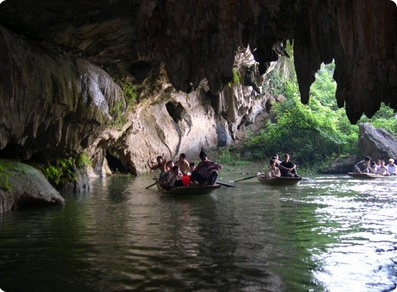 7:45 Arrive by boat at the Surprise Cave - Optional tour program: prepare for visiting the Surprise Cave Or relax onboard the boat. Massage service is available. Connecting room is available upon reques. 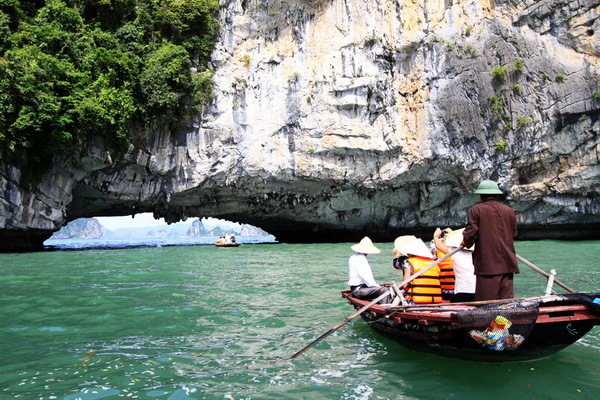 Surcharge of 25% will be added for cruises on December 24 & 31 and Lunar New Year Eve.